Detective R. Daneel Olivaw was a robot! When Lije Baley was summoned by the police comissioner to investigate the murder of Spacetown’s leading scientist, he was told his new partner would be a robot…a very special robot, created by the murdered man himself. News of the crime had to be kept secret. And it had to be solved before the hostile Spacetowners could use it to cause political upheaval. Olivaw’s identity also had to be kept secret. Anti-robot feeling was reaching riot proportions. The mission was almost impossible…for a human. But R. Daneel Olivaw wan’t human. Detective Baley found Daneel’s way to the truth the most terrifying experience of his life. 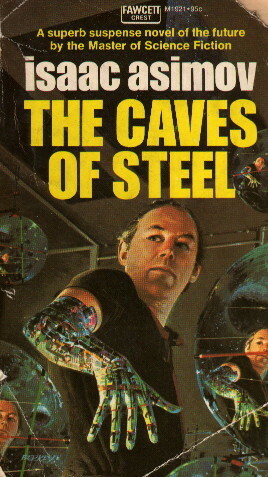 This, I think, is Asimov’s best novel. It is also, of course, significant for its introduction of R. Daneel Olivaw, who would go on to appear in six additional novels and one short story, and for its role in the development of the sub-genre of science fiction mysteries. 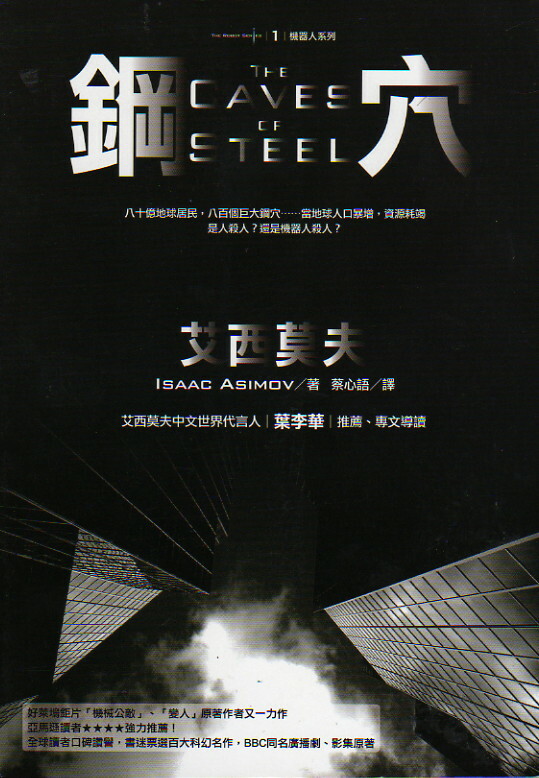 As a novel by Asimov, it is a marvelous job. The main characters are well-drawn and interesting. Baley himself is better than in the other two novels in which he appears, and Daneel is the prototype for the cool, thinking-machine/man. Jessie Baley, unfortunately, is very much the ideal 1950’s wife, but deserves withal a better fate than the literary oblivion to which Asimov ultimately consigned her in favor of the more exotic and interesting Gladia. And Julius Enderby is well-done, too—almost pathetic in his desperate attempts to handle an impossible situation. 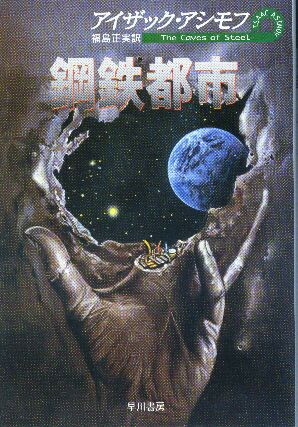 This is also Asimov’s best mystery, I believe. In particular, the later robot mysteries involve something of a cheat and have less-than-satisfactory endings. Here, however, the ending fits the development of the story perfectly, is obvious once you see it, and is baffling up until that point. (At least for me. I’m not very good at mysteries.) Even his non-science fiction mysteries are not quite up to the level he set here.